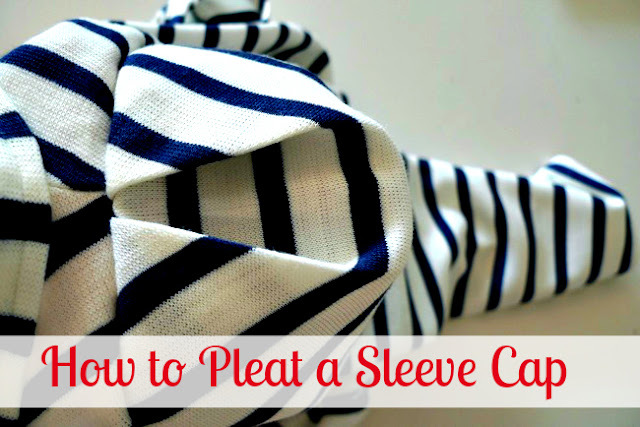 Make sure the sleeve cap has enough ease to form two pleats. In other words, the length of the top edge of your sleeve pattern needs to be at least 2" bigger than the length of the armhole of the garment you're setting it into. My sleeve cap was a whopping 4" bigger, meaning I could form a striking double pleat. 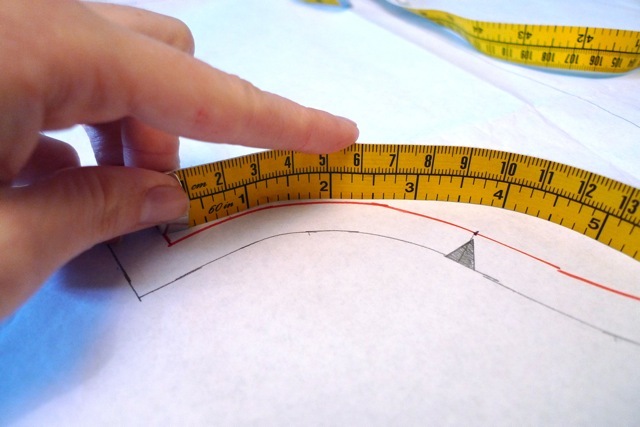 You can measure curves on patterns by standing a tape measure up on its side. 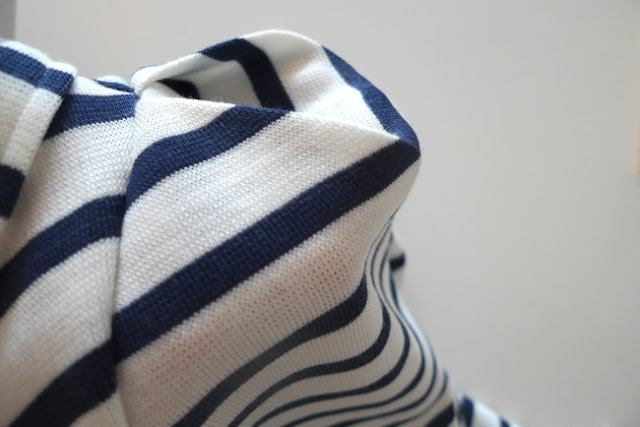 When you set the sleeve into the armhole, instead of gathering that difference in length, you just want to fold it over into two pleats which meet at the shoulder. The way I did it was to pin the bottom two thirds of the sleeve cap into place in the armhole, leaving the top part loose, then play around with it until I had even pleats which met at the shoulder, then pinning and stitching into place. Depending on your fabric, you may want to press the pleats down before pinning to keep them crisp and even. Different fabrics will obviously produce different effects. The double knit I used was quite thick and stiff, so produced a nice angular result. Softer, lighter fabrics may produce a looser, more drapey look... but still pretty!